This month, the Computer Arts Club is hosting a very special drawing challenge. Draw a different monster every day throughout the month of October and post them in our Facebook Group (right here https://www.facebook.com/groups/CACbgsu/?fref=nf). All creations will be judged by a professional concept artist during our annual Halloween party on Friday night, November 2nd. Use whatever medium you want, doesn’t have to be ink. 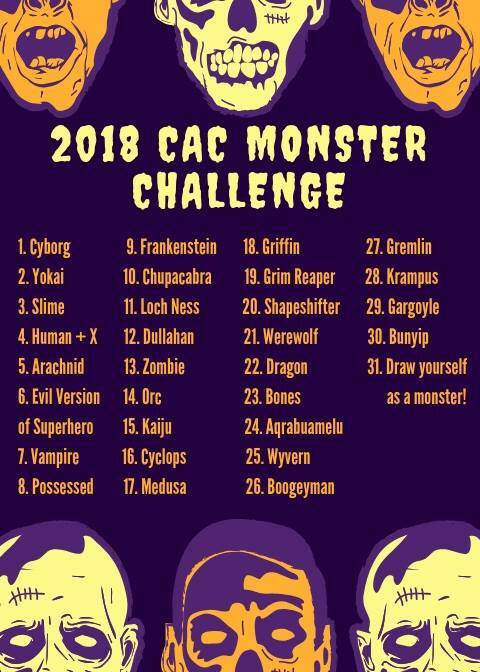 Monster Challenge prompt list is below. 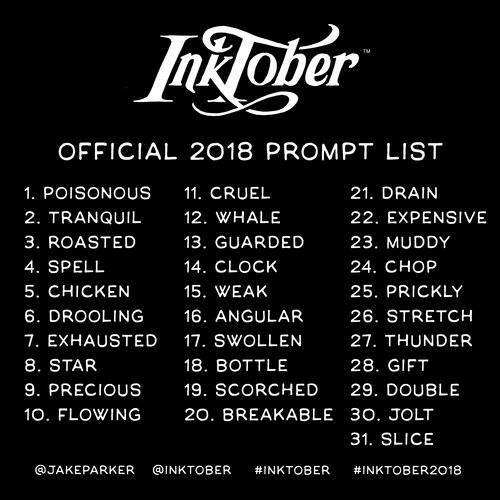 Official Inktober prompts are optional.